coins that flicker as leaves on a lake. and, because of this, is beautiful. 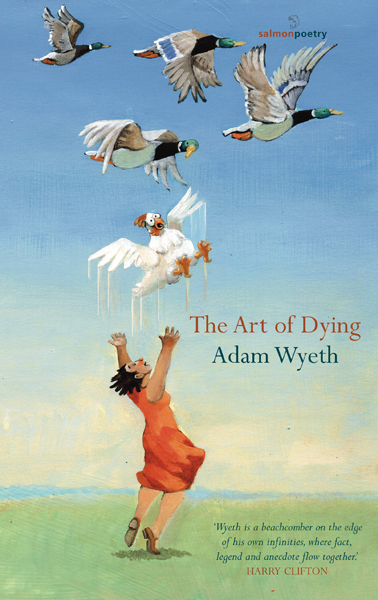 Adam Wyeth is an award-winning poet, playwright and essayist living in Dublin. His second poetry collection The Art of Dying was published with Salmon in November 2016 and was named as an Irish Times Book of the Year. In 2016 he was a selected poet for Poetry Ireland Review‘s Rising Generation.